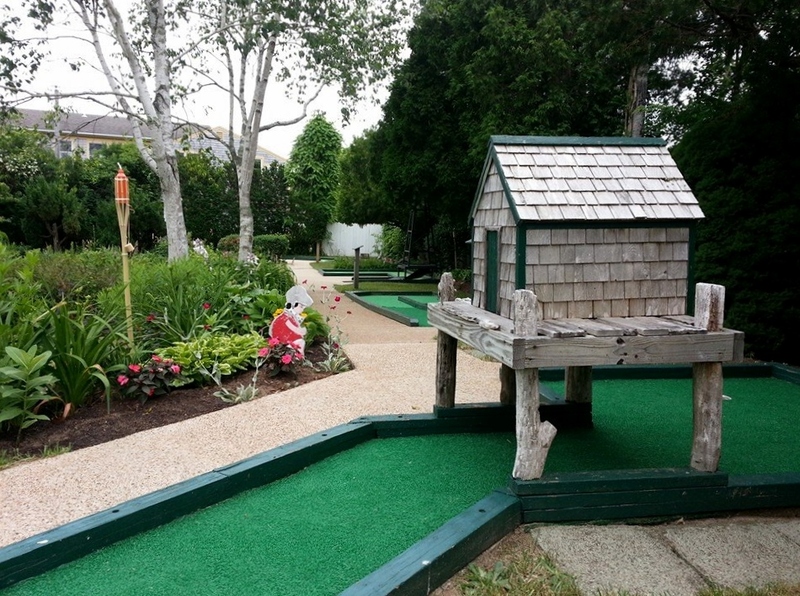 A Cape Cod family getaway wouldn’t be much of a vacation without ample activities for the kids. When staying at the Seadar Inn, there are numerous nearby family friendly attractions that will keep everyone entertained, even mom and dad. Whether it’s a leisurely round of mini golf, a fishing excursion, a visit to an inflatable park or a scenic train ride, you won’t have to venture far from the inn to take it all in. Susan’s Garden in Dennisport. Photo via Facebook. Obviously, there are many championship golf courses on the Cape. But mini golf has always been a local popular activity. At Cape Escape Adventure Golf in Orleans, the kids can play 18 holes in a nautical setting alongside authentic fishing boats and stunning waterfalls. They can even feed koi fish in between putts. 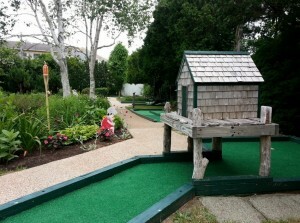 Susan’s Garden Mini Golf in Dennisport is pure Americana. Built in the 1950s, it has been lovingly restored, with 18 holes set amidst beautiful perennial gardens and a nighttime round lite by tiki torches. Seals basking in the sun. They’re noisy! Want to get out on the water instead? 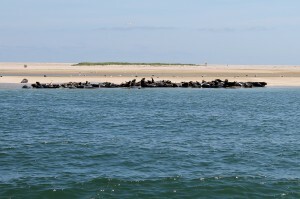 Go on a seal watch with Monomoy Island Excursions. 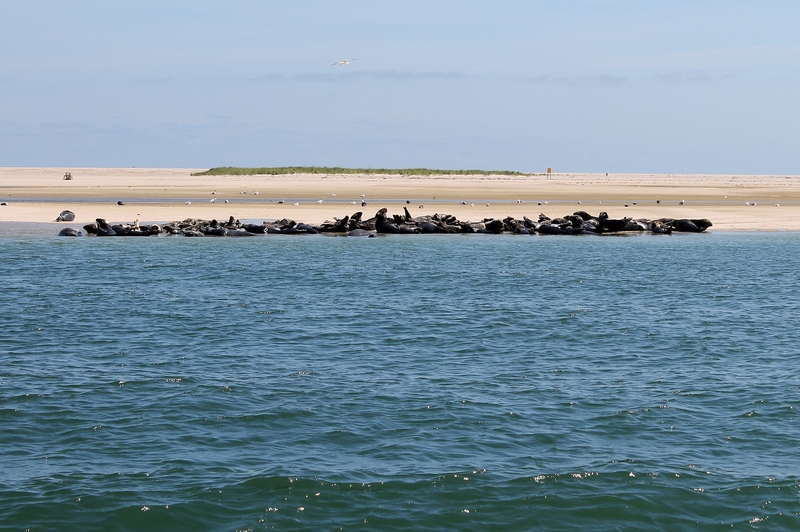 Cruises are only 90 minutes, and they’ll provide up-close views of harbor and gray seals, along with hundreds of species of birds and other wildlife that call Monomoy home. 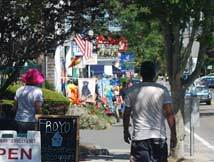 You’ll also visit Wychmere Harbor in Harwich Port, Stage Harbor in Chatham, and be treated to spectacular views of Chatham Lighthouse. Cap’n Kid sailing out of Saquatucket Harbor. 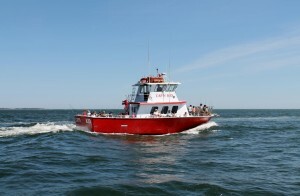 two-hour trips aboard a U.S. Coast Guard-certified vessel that is specifically geared for the younger set. 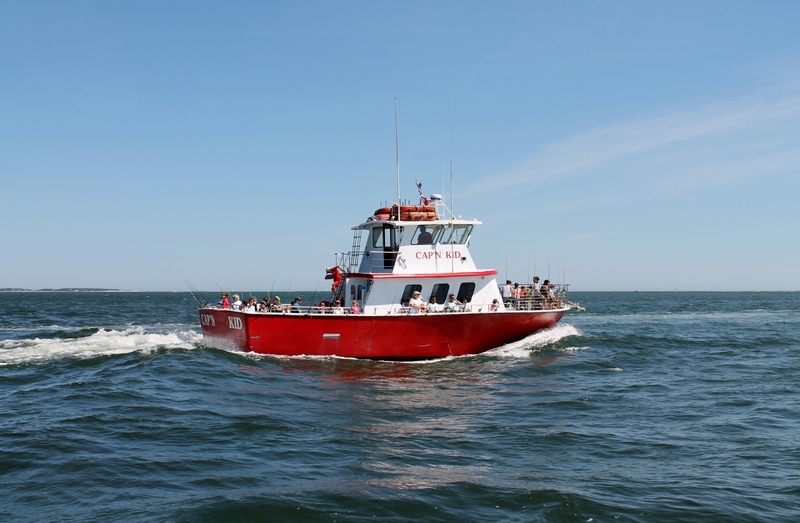 The kids can fish by rod and reel for scup, sea bass and tautog, bait a crab trap with the crew and even become a first mate by scrubbing the deck! Along the way, they’ll discover the world of spider crabs and other sea creatures. Back on land, Cape Cod Inflatable Park in West Yarmouth is one of the largest wet and dry inflatable parks in the world. Both adults and children will find plenty of things to do. There’s an interactive zone, filled with seven adrenalin-filled competitive challenge courses. Whether you’re zipping through the air, hoisting yourself over a ladder or testing your strength on the right rope, each of the challenges will demand endurance. Cape Cod Inflatable Park: Photo via website. 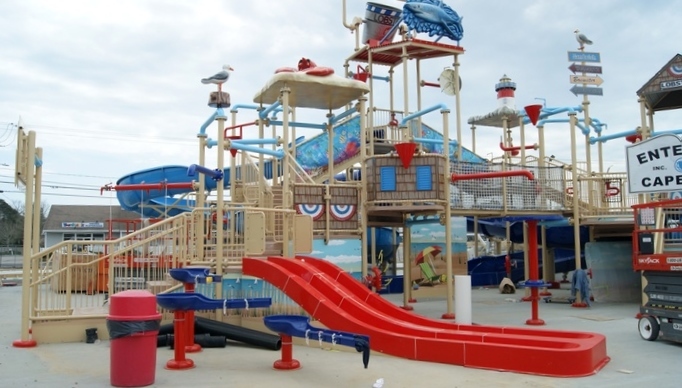 There are also numerous rides for the entire family, including three inflatable thrill rides, as well as a lily pad pool, two slides and smaller pool for the little ones, and even a lazy river for relaxing on a sun-splashed day. Or maybe you should just go fly a kite, as the saying goes. 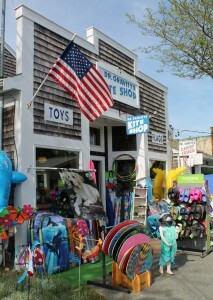 Well, you can do just that after renting one at Dr. Gravity’s Kite Shop in Harwich Port. While there, don’t miss Dr. Cavity’s Candy Shack, where penny candy, fudge and Cape Cod taffy are just a few of the many offerings. Good news: a free toothbrush comes with any purchase. Want to truly see the Cape? Hop aboard the Cape Cod Central Railroad, with departures from Hyannis, Sandwich and West Barnstable, for a two-hour “Scenic Fun Train” that journeys past cranberry bogs, lush marshes and hidden parts of the Cape. There is also the Family Supper Train, which features a magic show, balloon-twisting and face-painting. The kids will dine on “fun” food while the parents can choose from more upscale fare such as seared salmon and chicken francaise. Finally, what better way to end the day than with an ice cream treat? You can’t go wrong with the Sundae School in Harwich Port, which was voted by USA Today one of the top five ice cream parlors in the country. And after a day like that, you will smile knowing that the kids will sleep very well that night.